What better way to complete a killer outfit than to accessorise yourself with this simple silver necklace by Jolie and Deen! 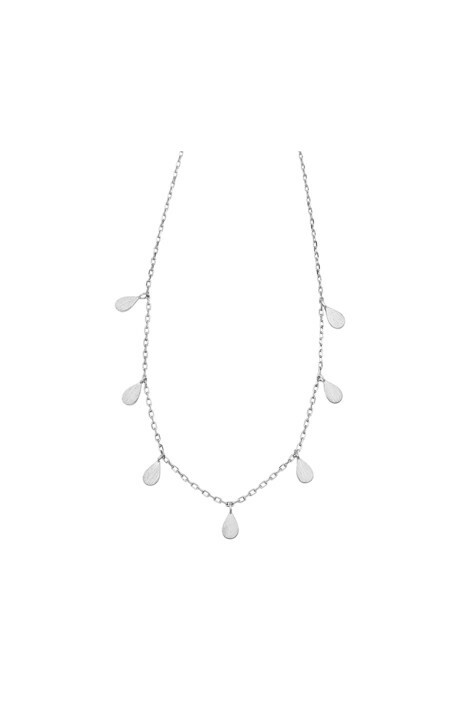 Featuring teardrop accents with brushed detail on a chain necklace, it’s great to wear on its own or paired with a thin choker. Rent a black jumpsuit or a bodycon midi number to pair with this accessory. Hire a silver clutch to compliment the colours! Keep it classic with a high ponytail and a winged liner. Read our blog post on welcoming winter on trans-seasonal fashion for more style tips and inspiration! Founded by sisters, Karuna and Kishori in Melbourne; took the opportunity to use their combined skills in creating well-priced, high quality designer jewellery products. Gaining inspiration from their recent travels, it has led them into new directions of clean and modern aesthetics. Their brand is loved by many influencers and celebrities such as Rozalia Russian, Hannah Perera and Carrie Bickmore.